Re my previous post about my letter to Professor Peter Gøtzsche, challenging a systematic review prepared by members of the Cochrane Vaccines Field, i.e. Adverse events after immunisation with aluminium-containing DTP vaccines: systematic review of the evidence. Professor Gøtzsche has responded to my letter, encouraging me to “submit a criticism” on this important matter. Thank you for your response to my letter dated 8 July 2014 which challenges a systematic review prepared by the Cochrane Vaccines Field i.e. Adverse events after immunisation with aluminium-containing DTP vaccines: systematic review of the evidence. In your response you encourage me to “submit a criticism” on this important matter to The Cochrane Collaboration. As noted in my previous letter, the systematic review in question was prepared by members of the Cochrane Vaccines Field, i.e. Tom Jefferson, Melanie Rudin and Carlo Di Pietrantonj, and was published in The Lancet Infectious Diseases in 2004 (behind the paywall). The review is listed in the bibliography on the Cochrane Vaccines Field website, but is not accessible online on The Cochrane Collaboration website, so I am unable to make an online comment. Professor Gøtzsche, as you have encouraged me to make a submission, can you please clarify how I should do this? So, you admit the quantity and quality of the evidence in your review was limited, but you still say that “we do not recommend that any further research on this topic is undertaken“. I suggest you did not have enough information to say “we do not recommend that any further research on this topic is undertaken.” Your review just plays into the hands of vaccine manufacturers like GlaxoSmithKline and Merck etc who are pushing repeat revaccinations with aluminium adjuvanted vaccines of questionable value. My investigation into companion animal vaccines has led me to be very concerned about vaccines with an aluminium adjuvant. Do I have masses of material in the “peer-reviewed literature” to back me up? No, and neither have I had the time to do a full-blown literature search, what with spending so much of my time investigating questionable MMR ‘boosters’, HPV, flu, pertussis vaccination, etc, because of all the misinformation spread by the ‘scientific’ establishment… Who would fund such research anyway? 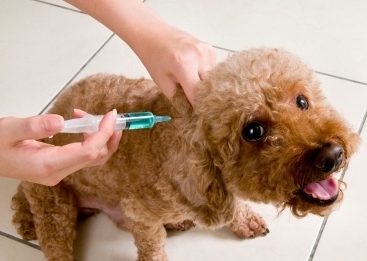 Experts in veterinary medicine have been calling for a decrease of live and inactivated vaccination of companion animals because of the risk of adverse reaction to vaccines. I’m becoming more concerned about the non-infectious/inactivated vaccines with aluminium adjuvants, (e.g. bordetella bronchiseptica with aluminium) that are given to many dogs every year, and now humans are being pressed to have regular revaccinations with aluminium adjuvanted vaccines (e.g. DTaP and HPV). In 2013, do we yet know how alum works in vaccines? It is interesting to note that pregnant women are currently being urged to have DTaP revaccinations because of the resurgence of pertussis. However, it has been reported that the pertussis circulating is a new strain, so what is the point of revaccinating with the existing vaccine? Also, I don’t buy this idea of a vaccine that ‘wanes’. Either a vaccine immunises for life or forget it, we have been conned big time with these annual flu vaccinations and repeat DTaPs etc. Tom, I suggest your Cochrane Review of aluminium-containing DTP vaccines is a bit of a worry in that it may have created a poorly evidenced acceptance of the safety of aluminium-adjuvanted vaccines. Dr Jefferson responded to my email saying: “Very simple: it is not a Cochrane review”. Obviously this brief reply was an inadequate response to the serious matters I had raised. I was also bemused by his statement that the systematic review prepared by the Cochrane Vaccines Field was “not a Cochrane review”. 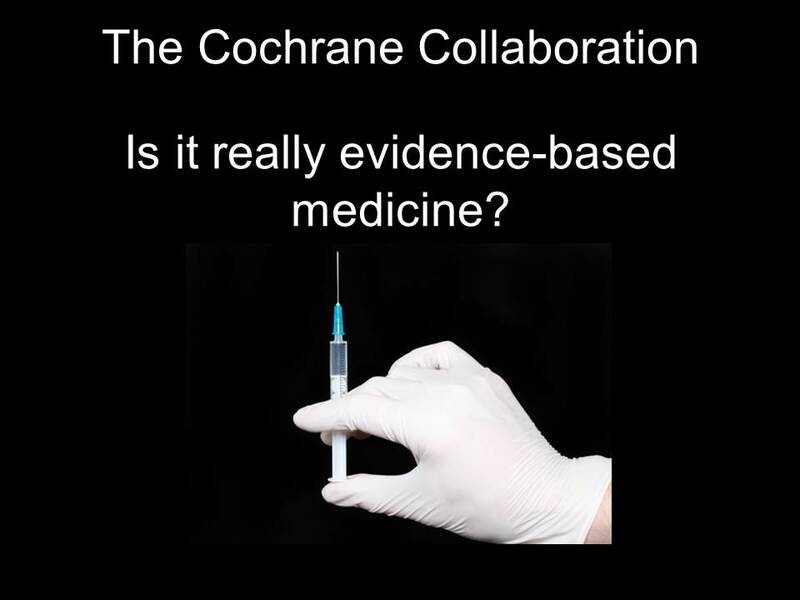 The review as published in The Lancet Infectious Diseases clearly identifies the authors as members of the Cochrane Vaccines Field, so surely The Cochrane Collaboration has a responsibility to be accountable for the recommendations of this review? Professor Gøtzsche, as you have encouraged me to “submit a criticism” on this important matter, I would appreciate your advice as to how I can successfully make a submission to The Cochrane Collaboration. Email from Professor Peter Gøtzsche, 9 July 2014. Safety, efficacy heart of vaccine use; experts discuss pros, cons. DVM roundtable. DVM December 1988. Email from Tom Jefferson, 24 March 2013. This entry was posted in Adverse Reactions, Aluminium adjuvant, Cochrane Collaboration, Cochrane Vaccines Field, Companion Animal Vaccines (Dogs), Flu Vaccine, Human Papillomavirus (HPV) Vaccine, Vaccine industry and conflicts of interest, Whooping Cough / Pertussis Vaccine and tagged adverse events, adverse reactions, aluminium adjuvant, Cervarix, cervical cancer, Cochrane Collaboration, Cochrane Vaccines Field, conflicts of interest, Gardasil, GlaxoSmithKline, HPV, HPV vaccination, Ian Frazer, Merck, over-vaccination, Peter Gøtzsche, systematic review, Tom Jefferson, vaccine industry, vaccine marketing, vaccine safety on July 17, 2014 by elizabethhart. Dogs in Australia and elsewhere continue to be grossly over-vaccinated. These companion animals and their owners are being exploited by the veterinary industry. See below my recent email on this matter to Ms Kareena Arthy, Chief Executive Officer of the Australian Pesticides and Veterinary Medicines Authority (APVMA). The APVMA is the body responsible for ‘regulating’ veterinary vaccine products in Australia. On what evidence is this ‘recommendation’ for an ‘annual booster’ with core vaccines based? In his email response of 22 August 2013, Professor Schultz said: “I agree that the term “booster” is misleading in that many of the already immune dogs probably receive no beneficial “booster effect” from an infectious vaccine because the virus (e.g. CDV, CPV-2, CAV-2)* is immediately neutralized. Therefore, it cannot infect the cells and replicate! It is only in those dogs that have no viral antibody that the vaccine will booster the immune system, both the cellular and humoral response to the virus. It is these antibody negative dogs that I recommend revaccinating, not dogs with detectable antibody. There are, however, components of the vaccines that are almost always boostered such as fetal bovine serum components and other extraneous proteins that are in all vaccines. Obviously, these are components of the vaccine we don’t want to boost especially in a dog that genetically is predisposed to an adverse reaction (e.g. hypersensitivity). That is why we are trying to prevent annual revaccination with the Core Vaccines that provide long term immunity in a majority of most dogs, but not all!” (*Note: CDV, CPV-2 and CAV-2 are the canine diseases distemper virus, parvovirus and adenovirus [hepatitis]). It is my strong suspicion that annual revaccination of dogs with core MLV vaccine products remains prevalent practice in Australia. See for example the attached article published in Dogs NSW in September 2013: “The Deadly Canine Parvovirus – Is Your Dog At Risk?”. My response to this article is attached. Also attached is the response by pro-annual vaccination vet Robert Zammit, and Virbac/ASAVA’s Mark Kelman. See also this ‘Vaccination Guide’ from Greencross Vets which recommends revaccination every year with core vaccines for distemper, hepatitis and parvovirus (and non-core vaccines parainfluenza and bordetella). Pet owners and their pets are being grossly exploited by the prevalent practice of over-vaccination due to the non-evidence based revaccination ‘recommendations’ on APVMA approved core MLV vaccine product labels. I also strongly suspect most pet owners are not being informed of the option of in-clinic and lab-based antibody titre testing to verify a response to core MLV vaccination. Ms Arthy, on what evidence does the APVMA continue to re-register canine core MLV vaccine products which recommend repeated revaccination of adult dogs? I request your urgent response on this matter. 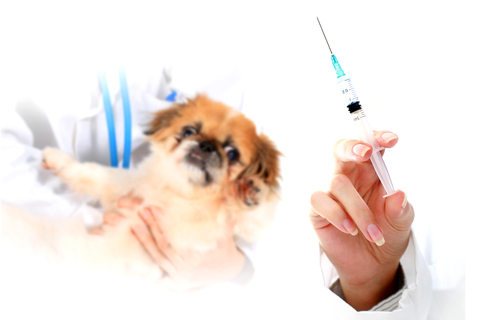 Over-vaccination of pets – an unethical practice (16 June 2009). My essay summarises the issue of over-vaccination of pets. Is over-vaccination harming our pets? Are vets making our pets sick? (13 April 2009). My detailed and fully-referenced report was tabled at a special meeting convened by the Australian Pesticides and Veterinary Medicines Authority on 15 April 2009 to discuss the problem of unnecessary vaccination of pets. Email to James Suter, Australian Pesticides and Veterinary Medicines Authority (20 April 2011) with further questions re the APVMA’s responses to adverse experience reports being marked ‘COMMERCIAL-IN-CONFIDENCE’. Email to Australian Veterinary Boards (19 May 2011) enquiring if the APVMA’s Position Statement on Vaccination Protocols for Dogs and Cats had been circulated to veterinarians, as requested by the APVMA in September 2010. Open letter to Barry Smyth, President of the Australian Veterinary Association; Peter Punch, Chair of the Australasian Veterinary Boards Council; Eva Bennet-Jenkins, CEO, Australian Pesticides and Veterinary Medicines Authority (26 March 2011): A formal complaint re the continuing calls for already immune animals to be needlessly, and possibly harmfully, revaccinated. Email to James Suter, Australian Pesticides and Veterinary Medicines Authority (6 March 2011) “Request for information re adverse experience reporting / possible conflicts of interest”. Open letter to the veterinary profession and industry (9 August 2010) re use of the media to promote over-servicing in the veterinary profession- unnecessary, and possibly harmful, vaccination of companion animals. Response to Allen Bryce (23 June 2010), Program Manager, Veterinary Medicines, Australian Pesticides and Veterinary Medicines Authority re unnecessary, and possibly harmful, vaccination of companion animals, and the APVMA’s Position Statement on Vaccination Protocols for Dogs and Cats. Open letter to Allen Bryce (17 June 2010), Program Manager, Veterinary Medicines, Australian Pesticides and Veterinary Medicines Authority re unnecessary, and possibly harmful vaccination of companion animals, and the APVMA’s Position Statement on Vaccination Protocols for Dogs and Cats. Open letter to Mark Lawrie (May 2010) (Immediate Past) President of the Australian Veterinary Association re over-servicing in the veterinary profession – unnecessary, and possibly harmful, vaccination of companion animals (6 May 2010, with an update added on pages 3-4 on 23 May 2010). Open letter to the Australian Pesticides and Veterinary Medicines Authority (24 January 2010), Australian Veterinary Association, Australian Small Animal Veterinary Association, and Competition and Consumer Policy Division, The Treasury re unnecessary vaccination of pets and the APVMA’s Position Statement on Vaccination Protocols for Dogs and Cats. Open letter to the Australian Pesticides and Veterinary Medicines Authority (8 January 2010), Australian Veterinary Association and Australian Small Animal Veterinary Association re unnecessary vaccination of pets and the APVMA’s Position Statement on Vaccination Protocols for Dogs and Cats. Open letter to the Australian Pesticides and Veterinary Medicines Authority (22 December 2009), Australian Veterinary Association and Australian Small Animal Veterinary Association re over-vaccination of pets / APVMA Position Statement / vaccine product labelling issues. 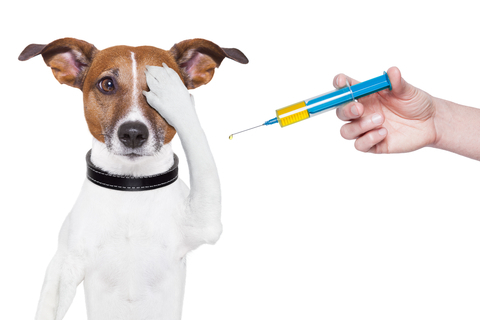 Is over-vaccination harming our pets? Are vets making our pets sick? (13 April 2009). This detailed and fully-referenced report was tabled at a special meeting convened by the APVMA on 15 April 2009 to discuss the problem of unnecessary vaccination of pets. Email to Anna-Maria Brady, UK Veterinary Medicines Directorate (23 June 2011)requesting evidence to support the veterinary industry’s call for revaccination of pets. Email to Anna-Maria Brady, UK Veterinary Medicines Directorate (15 May 2011) with questions re core vaccine product labelling in regards to duration of immunity. Email to Anna-Maria Brady, UK Veterinary Medicines Directorate (1 April 2011)providing a pet owner’s perspective on pet vaccination. Email to Mark Kelman, Virbac / Australian Small Animal Veterinary Association (26 January 2011) re alarming statistics regarding parvovirus and the Virbac Disease WatchDog. Email to Mark Kelman, Virbac / Australian Small Animal Veterinary Association (31 July 2010), re canine vaccination protocols. A Submission to the Royal College of Veterinary Surgeons (24 June 2011), on the Draft Code of Professional Conduct for Veterinary Surgeons. A Submission on the National Scheme for Assessment, Registration and Control of Use of Agricultural and Veterinary Chemicals Discussion Paper in relation to “Unnecessary, and Possibly Harmful, Use of Companion Animal Vaccines” (10 February 2010). Submission to Craig Emerson MP (17 July 2009), Minister for Competition Policy and Consumer Affairs, on the Consumer Voices Issues Paper: “Request for consumer protection for consumers of veterinary services in Australia”. Email to Senator Joe Ludwig, Minister responsible for the APVMA (26 November 2011), complaining about the failure of ‘self-regulation’ of veterinarians. Letter to Craig Emerson MP (4 July 2010), Federal Minister for Competition Policy and Consumer Affairs re submission on the Consumer Voices Issues Paper: “Request for consumer protection for consumers of veterinary services in Australia”. Letter to Tony Burke MP (17 June 2010), Federal Minister responsible for the Australian Pesticides and Veterinary Medicines Authority, re unnecessary, and possibly harmful, vaccination of companion animals, and the APVMA’s Position Statement on Vaccination Protocols for Dogs and Cats (17 June 2010). Vaccination failure! There is a potential for maternally derived antibodies (MDA) to interfere with a puppy’s response to core vaccination. (Article published in the May 2011 edition of National Dog). Important Information for Dog Owners – Vaccination Update July 2010 (An earlier version of this article was also published in National Dog Volume 13, No. 6). Letter to the Editor of The Veterinarian magazine (8 June 2010) Response to Aine Seavers’ article “Three-year vaccination intervals: a different view from the parvo trenches of practice-land”. Letter to the Editor of The Veterinarian magazine (7 June 2010): ‘A pet owner’s perspective of the vaccination controversy’. Too many needles ! Unnecessary vaccination exposed (February 2010. Article published in National Dog in April 2010). The over-vaccination controversy continues (Article published in National Dog in December 2009). Over-vaccination: Are vets making our pets sick? (June 2009. Article published in National Dog in July 2009). Over-vaccination of pets – an unethical practice (16 June 2009). This essay summarises the issue of over-vaccination of pets. Examples of reports in the Australian media about parvovirus outbreaks during the period Dec 2009 to March 2011. This entry was posted in Adverse Reactions, Australian Pesticides and Veterinary Medicines Authority, Companion Animal Vaccines (Dogs), Informed consent, Vaccine industry and conflicts of interest and tagged adenovirus, adverse events, adverse reactions, Allen Bryce, Australian Pesticides and Veterinary Medicines Authority, booster, conflicts of interest, distemper, dog vaccination, hepatitis, informed consent, Mark Kelman, over-vaccination, parvovirus, pet vaccination, Professor Ronald Schultz, Robert Zammit, vaccination guidelines, vaccine industry, vaccine marketing, vaccine regulation, vaccine safety on April 23, 2014 by elizabethhart. Recently the magazine Dogs NSW published a fear-mongering article, “The Deadly Canine Parvovirus – Is Your Dog At Risk”, promoting annual revaccination for parvovirus, in other words promoting gross over-vaccination of dogs. Charlotte Long’s article “The Deadly Canine Parvovirus – Is Your Dog At Risk?” (Dogs NSW, Sept 2013) promotes annual revaccination for parvovirus and fails to address the controversy about over-vaccination of pets, which exploits companion animals and their owners. Many vets are failing to advise pet owners about vaccination ‘best practice’, and are failing to obtain ‘informed consent’ before vaccinating their clients’ pets. Charlotte Long maintains the lack of information by failing to refer to the World Small Animal Veterinary Association’s Guidelines for the Vaccination of Dogs and Cats (2010), which advise that after effective vaccination with the core vaccines for parvovirus, distemper virus and adenovirus, duration of immunity “is many years and may be up to the lifetime of the pet”. The WSAVA Guidelines also warn “we should aim to reduce the ‘vaccine load’ on individual animals in order to minimize the potential for adverse reactions to vaccine products”. Ms Long also ignores the option of in-surgery or lab-based titre testing to verify a response to core vaccination. The WSAVA Guidelines 2010 note “the principles of ‘evidence-based veterinary medicine’ would dictate that testing for antibody status (for either pups or adult dogs) is a better practice than simply administering a vaccine booster on the basis that this should be ‘safe and cost less’”. The latest WSAVA Vaccination Guidelines for New Puppy Owners (published in May 2013) advise “the presence of circulating antibodies indicates that the dog is immune, and revaccination (with core vaccines) is not required”. The APVMA is the government regulator of veterinary vaccine products. In September 2010 the APVMA requested all eight Veterinary Boards in Australia circulate its Position Statement on Vaccination Protocols for Dogs and Cats to veterinarians in their jurisdictions. It is my understanding that some, if not all, of the Veterinary Boards, ignored this request by the government regulator, an appalling dereliction of duty. As a result many pet owners still remain unaware of the APVMA’s Position Statement on Vaccination Protocols for Dogs and Cats. The APVMA’s past failure to ensure that vaccine manufacturers’ revaccination recommendations are evidence based is at the heart of the continuing problem of over-vaccination of pets, coupled with the reluctance of many members of the veterinary profession to keep abreast of and acknowledge the latest science on duration of immunity and vaccination ‘best practice’. No wonder the World Small Animal Veterinary Association warns “there is an urgent requirement for education of practicing veterinarians in this area”. The APVMA’s Position Statement notes: “The APVMA does not support the retention of label statements that direct or imply a universal need for life-long annual revaccinations with core vaccines…The APVMA is working with vaccine registrants with a view to updating labels.”(10) (My emphasis.) However, more than three years after publication of the APVMA’s Position Statement, core vaccine products with an annual revaccination ‘recommendation’ remain on the market, e.g. Virbac’s Canigen DHA2P (11) and Boehringer Ingelheim’s Protech C3 (12). In short, Charlotte Long’s article fails to include a simple and effective message to promote successful immunisation of puppies to protect against parvovirus, rather than over-vaccinating already immune dogs over and over again. Instead we are presented with a fear-mongering advertorial promoting lucrative over-vaccination of dogs on behalf of the veterinary vaccination industry. Readers of Dogs NSW have been poorly served by Ms Long’s biased and ill-informed article. As a result it is likely many already immunised dogs will be unnecessarily revaccinated. I request that Dogs NSW take steps to redress the misinformation it has spread in the community. 8. On 19 May 2011 I circulated an email to the veterinary boards in Australia, asking what steps they had taken to forward the APVMA’s Position Statement to registered veterinarians in their jurisdictions: http://users.on.net/~peter.hart/Email_to_Vet_Boards_May_2011.pdf The veterinary boards of Queensland and the Northern Territory advised they had taken no action to circulate the Position Statement. My enquiry was ignored by the other veterinary boards. This entry was posted in Adverse Reactions, Companion Animal Vaccines (Dogs), Vaccine industry and conflicts of interest and tagged adverse events, adverse reactions, dog vaccination, evidence based medicine, informed consent, over-vaccination, parvovirus, pet vaccination, vaccination guidelines, WSAVA on October 25, 2013 by elizabethhart. In a previous post, Over-vaccination of dogs with unnecessary ‘boosters’, I suggest use of the questionable term ‘booster’ in relation to canine core modified live virus (MLV) vaccines for parvovirus, distemper virus and adenovirus is resulting in extensive unnecessary over-vaccination of already immune dogs. I forwarded a detailed letter on this matter to Professor Ronald Schultz, a member of the World Small Animal Veterinary Association’s Vaccination Guidelines Group, complaining about the confusing and misleading use of the term ‘booster’ in vaccination guidelines issued by the WSAVA Vaccination Guidelines Group. “I agree that the term “booster” is misleading in that many of the already immune dogs probably receive no beneficial “booster effect” from an infectious vaccine because the virus (e.g. CDV, CPV-2, CAV-2)* is immediately neutralized. Therefore, it cannot infect the cells and replicate! It is only in those dogs that have no viral antibody that the vaccine will boost the immune system, both the cellular and humoral response to the virus. It is these antibody negative dogs that I recommend revaccinating, not dogs with detectable antibody. There are, however, components of the vaccines that are almost always boostered such as fetal bovine serum components and other extraneous proteins that are in all vaccines. Obviously, these are components of the vaccine we don’t want to boost especially in a dog that genetically is predisposed to an adverse reaction (e.g. hypersensitivity). That is why we are trying to prevent annual revaccination with the Core Vaccines that provide long term immunity in a majority of most dogs, but not all!”(1) (*Note: CDV, CPV-2 and CAV-2 are the canine diseases distemper virus, parvovirus and adenovirus [hepatitis]). So I wonder if the WSAVA vaccination guidelines will be amended accordingly? I am pursuing this matter further. Postscript: In his response to me, Professor Schultz refers to “fetal bovine serum components and other extraneous proteins that are in all vaccines. Obviously, these are components of the vaccine we don’t want to boost especially in a dog that genetically is predisposed to an adverse reaction (e.g. hypersensitivity)”. Fetal bovine serum is also in the human live Measles/Mumps/Rubella (MMR) vaccine, see for example Merck’s MMR II(3). So it doesn’t seem like a good idea to have unnecessary doses of MMR vaccine either… In this regard refer to my letter to Paul Offit: Questioning the ethics of mandated vaccination of children with the measles/mumps/rubella (MMR) ‘booster’ second dose. Charlotte Long. The deadly canine parvovirus – is your dog at risk? Dogs NSW, September 2013, pp 21-25. This entry was posted in Adverse Reactions, Companion Animal Vaccines (Dogs), Vaccine industry and conflicts of interest and tagged booster, dog vaccination, parvovirus, pet vaccination, Professor Ronald Schultz, Professor Schultz, titre testing, vaccination guidelines, WSAVA on October 1, 2013 by elizabethhart. I recently forwarded a letter to vaccination expert Paul Offit questioning the ethics of mandated revaccination of likely already immune children with a second dose of the live Measles/Mumps/Rubella vaccine (often misleadingly termed a ‘booster’), and general lack of advice re the availability of a blood test (i.e. an antibody titre test) to verify a response to vaccination with the first dose of live MMR vaccine. Please see attached a detailed letter addressed to you questioning the ethics of mandated revaccination of likely already immune children with a second dose of the live Measles/Mumps/Rubella (MMR) vaccine (misleadingly termed a ‘booster’), and general lack of advice re the availability of a blood test (i.e. 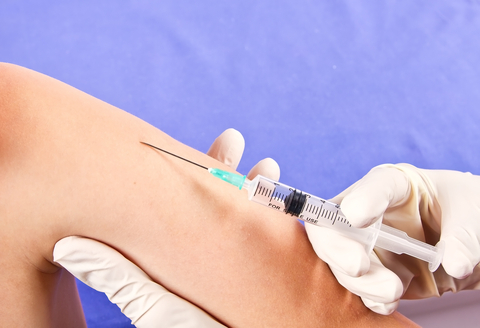 an antibody titre test) to verify a response to vaccination with the live MMR vaccine. I suggest that parents of small children are not being properly informed of the option for antibody titre testing rather than an arbitrary second dose of live MMR vaccine. Two doses of MMR vaccine are mandated in many US states, and also in other countries such as Australia. These mandates conflict with the obligation for ‘informed consent’ before vaccination. “…the principles of ‘evidence-based veterinary medicine’ would dictate that testing for antibody status (for either pups or adult dogs) is a better practice than simply administering a vaccine booster on the basis that this should be ‘safe and cost less'”. We are on a slippery slope when the state dictates questionable medical interventions for citizens (including ‘pre-citizens’, i.e. children). I suggest the arbitrary second dose of the MMR vaccine, often inappropriately described as a ‘booster’, is a questionable medical intervention. Professor Offit, you are on the record acknowledging that antibody titre testing is an option rather than an arbitrary second dose of live MMR vaccine. I request your assistance in bringing attention to this matter, which I discuss further in my letter attached. and will also be circulated to other parties. UPDATE: Previously on Babycenter.com Paul Offit said: “Not having a booster is an option (although an expensive one) for the MMR booster…The first dose of the MMR vaccine, which your child should receive at 12 to 15 months successfully immunizes 95 percent of children against measles, mumps, and rubella…To find out whether your child has responded to the first MMR shot, you can have the doctor do a blood test called an “antibody titer”…If your child’s test shows that he has the MMR antibodies, he doesn’t need a booster shot…”. Offit has now reneged on this advice in a contradictory manner and without evidence. I am pursuing this matter further. This entry was posted in Adverse Reactions, Companion Animal Vaccines (Dogs), Measles/Mumps/Rubella (MMR) Vaccine, Vaccine industry and conflicts of interest and tagged antibody titre testing, blood test, measles, measles mumps rubella, MMR, mumps, Paul Offit, rubella, vaccine industry on September 6, 2013 by elizabethhart. For those people interested in the ongoing over-vaccination of pets scandal, I recently forwarded a letter to Professor Ronald Schultz, a member of the World Small Animal Veterinary Association’s Vaccination Guidelines Group, and the American Animal Hospital Association’s Canine Vaccination Task Force, complaining about the confusing and misleading use of the term ‘booster’ in vaccination guidelines. Please see attached a detailed letter addressed to you criticising the use of the confusing and misleading term ‘booster’ in vaccination guidelines issued by the WSAVA Vaccination Guidelines Group. This criticism is also relevant to the 2011 AAHA Canine Vaccination Guidelines. As noted in my letter, I suggest use of the term ‘booster’ in relation to canine core modified live virus (MLV) vaccines for parvovirus, distemper virus and adenovirus is resulting in extensive unnecessary over-vaccination of already immune dogs. I suspect that many pet owners are still not being informed that there is no evidence to support revaccination of already immune animals with so-called ‘booster’ shots, nor that there is the option of titre testing to verify a response to core MLV vaccination. This is especially concerning in light of the WSAVA 2010 guidelines warning “that we should aim to reduce the ‘vaccine load’ on individual animals in order to minimize the potential for adverse reactions to vaccine products”, and the WSAVA 2013 guidelines advice that “it is important to give as few vaccines as possible…” and “…any reaction to a vaccine that is not needed is unacceptable”. There are serious flaws in the WSAVA guidelines 2010 and 2013 which must be rectified. 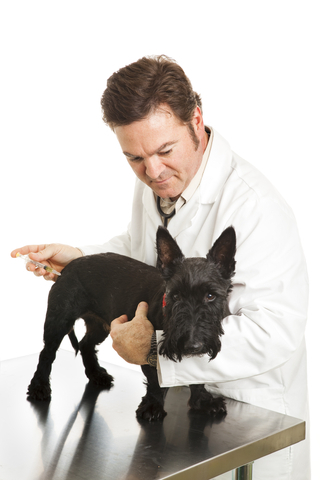 In addition, the 2011 AAHA Canine Vaccination Guidelines should also be subjected to review. This entry was posted in Adverse Reactions, Companion Animal Vaccines (Dogs), Vaccine industry and conflicts of interest and tagged adverse events, adverse reactions, booster, dog vaccination, over-vaccination, parvovirus, pet vaccination, Professor Ronald Schultz, Professor Schultz, vaccination guidelines on August 21, 2013 by elizabethhart.